Since wind turbines are getting bigger and bigger, the rotor swept area, which can be monitored proportionally from the nacelle with a bat monitoring system, decreases. Consequently, there is a demand for additionally installed microphones, for example at the level of the lower rotor tips. Due to the limited accessibility, the large wall thicknesses and the demand for the smallest possible drill diameters the tower wall mounting was not possible with the microphone discs known from nacelle monitoring. Therefore we adapted them to the new challenges and created our tower microphones TM10 and TM20. These can be mounted with the sliding mounting tripod in tower walls up to 460mm thickness. The tripod is here fixed to the inner tower wall by means of magnetic feet or adhesive pads, so that in addition to the mounting hole no further drilling on the tower wall is needed. While the TM10 enables the smallest possible bore diameter, the TM20 made sure to transfer all the proven functions of the nacelle microphone discs to the tower monitoring. Consequently, the TM10 requires a mounting hole diameter of just 14mm, which unfortunately did not allow the integration of a test signal speaker. 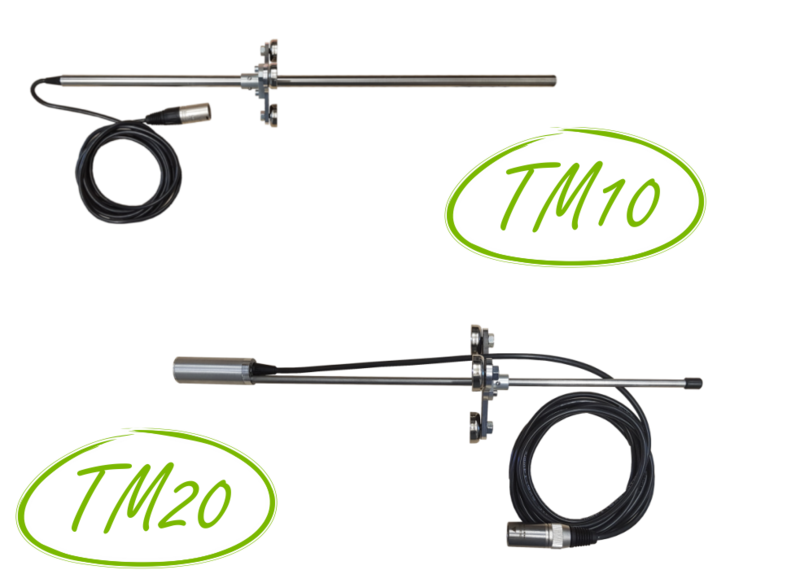 In contrast, the TM20 requires a bore diameter of 22mm and allows you to monitor microphone sensitivity with a built-in test signal speaker. Since the installation of the BATmode S/S + next to the microphone on the inner tower wall is often very difficult, the built-in microphones preamplifiers allow cable lengths up to 50m and more, and thus enables an easy installation on the next intermediate level or even on the tower floor. For more information and a summary of all our microphones, please click here.